All the contributors on the site are trusted friends and I personally use their services. Howard has been my astrologer for more than fifteen years, so he knows me as well as I know myself, possibly better! His guidance, advice, and support, has been invaluable to me and I always return for my annual chart. I first met Lisa seven years ago when she was the editor for my first book, Easy Tarot. She's an amazing lady who knows how to draw out your creative best with warmth and supportive encouragement. 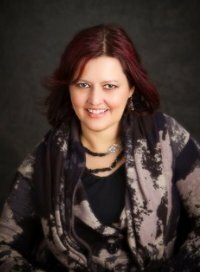 Lisa Finander is an author, developmental editor, astrologer, tarot reader, dreamworker, and artist. She values the wisdom and the mystery contained in metaphysical and spiritual teachings. Her passion is to create from that deep, mysterious place that brings ageless wisdom into new form. For as long as Lisa can remember, she was attracted to the mystical. Studying everything from astrology to yoga, Lisa knows the practical and real benefits of mind body spirit (mbs) teachings and provides services that support mbs learning and writing. Throughout her college coursework, Lisa created Independent Studies combining subjects such as tarot and dreamwork with personal development, resulting in her completion of a B.A. in Psychology & Symbolism from Metropolitan State University, St. Paul, Minnesota. She has developed and presented workshops, classes, and lectures for The Loft Literary Center of Minneapolis, women's organizations, colleges, writing centers, and various other groups and institutions. Lisa is the author of Disneystrology: What Your Birthday Character Says About You. For Disneystrology, Lisa incorporated the teachings of astrology, tarot, and numerology to invent 366 unique birthday entries with a corresponding Disney character. 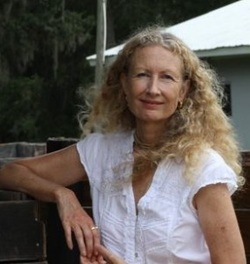 In addition, Lisa has experience in many areas of the publishing industry including working as an author, acquisitions editor, developmental editor, and bookseller assisting with bookfairs and author events for a national bookstore. A lifelong learner, Lisa continues to strengthen her writing, critiquing, and publishing skills enhancing her abilities to support authors in their writing process. She also enjoys expanding her content knowledge and expertise through classes, workshops, reading, and personal mentoring. She works with authors and artists from all over the world. Currently, Lisa is working on a degree in Visualization Technology focusing on digital graphics and interactive media. Once completed, she will share her writing and creative work electronically in new, innovative ways. I met Kathleen a few years ago on one of my Tarot courses. I was totally impressed with the detailed numerology report she personally prepared for me and the enormous amount of work with loving care she puts into it. "Having a session with me is more revealing than going to a therapist because I know so much more about you before you arrive simply through your numbers - I do all the work. I'm a Spiritual Intuitive using Intuitive Counsel to help you discover insights about yourself. The numbers in your chart show me the Destiny and direction of your life. My counsel is to help you discover Who You Are and What You Are to do with your life. Together we find strategies to help you live your best life. My objective is to be your guide to help you improve yourself and to explore all possibilities through the power of your Name and Life Path." Visit Kathleen's website from this link. I've known Jennifer through Howard for fifteen years... and she's a fellow Brit too! Jennifer “Yogamaya” Beckman is an experienced Ayurvedic practitioner with a storehouse of both academic Ayurveda and experience in dealing with people walking the path of “every day” life. She is the most experienced Ayurvedic practitioner to be found now in the world that specializes in clinical gem therapy. Together with Hamsa she helped develop the Balaji GL108 “Navaratna” Gem Lamps Medical instrument and uses them in her Ayurvedic practice on a daily basis with astounding success treating all sorts of ailments, both physical and emotional. She travels extensively in the Americas, UK and Europe and always with her gem lamps to allow her patients to experience this amazing natural healing tool. A student of yoga for over 30 years she is a Hatha Yoga instructor with E-RYT 500 certification from Yoga Alliance, as well as by the British Wheel of Yoga in the United Kingdom. In Ayurveda she has studied with Dr. David Frawley and Dr. Vasant lad, and co-taught with Dr. Frawley his “Advanced Yoga and Ayurveda” seminars. She is also a member of the International Yoga Therapists Association and Light on Ayurveda Educational Foundation. Her numerous articles on practical Ayurveda and natural healing have appeared in print magazines in the USA and UK, as well as in internet article databases.